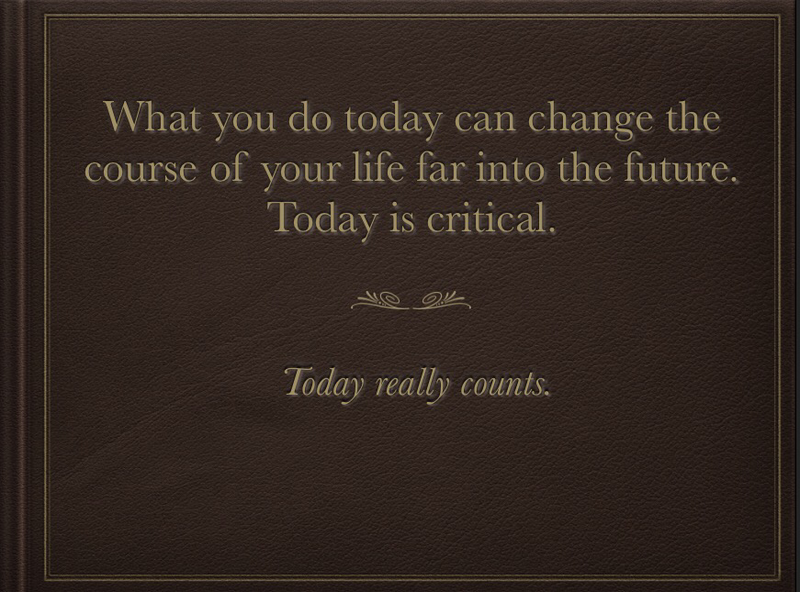 Make Today Count by Jim Johnson | Go, Leader, Grow! It is easy to get in a rut. Just show up at work and go through your routine. Sure, you are pleasant and professional, but if you continue to keep doing what you’ve always been doing, will you be making a difference? Are you improving a little bit each day? Improve your coaching sessions with your team. Don’t put off that report until the last minute. Actively and intentionally collaborate with those outside of your department. Take time to encourage someone whether they are on your team or not on your team. Follow up with that customer that you promised but haven’t followed through on. Expand your network on LinkedIn and make some meaningful connections today. Pick up that book that you’ve been putting off reading and read at least 10 pages a day. You can finish that 280 page book in a month if you do that. Begin eating healthy. Use resources that are readily available. Apps like MyFitnessPal will help you track what you eat and help you measure calories and carbohydrate intake. Get out and exercise in someway shape or form. Take a walk. Ride your bike. Get back to the gym. Schedule a date night with your spouse. Drop thenewspaper and turn off your television and go out and play catch with your kids. Go over and talk to your neighbor and find out what’s been happening with them this summer. Call your mom or dad for no other reason than just to talk to them. Send an email or call a friend you haven’t communicated with in awhile. Set some personal goals and create a plan to achieve those. Watch less news on TV. Listen to inspiring music. Watch a Ted talk’s presentation.